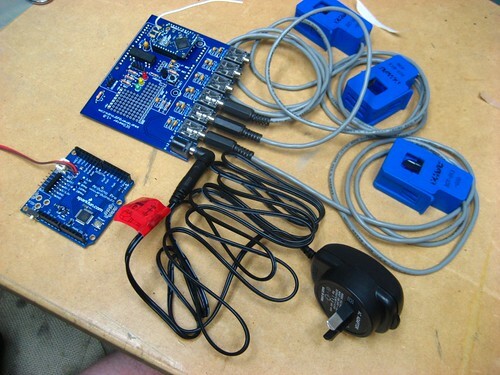 The SEGmeter Arduino shield turn Arduino into a smart meter. It combines a number of useful features, such as 6 channels of energy measurement, temperature sensing and a reed relay control. In addition, there is capability to support Zigbee for wireless communications to an internet gateway device as well as a small prototyping area for added magic. 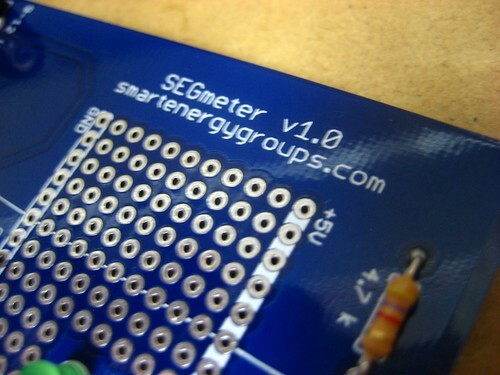 smartenergygroups.com also provide a range of compatible current senors and other components to help build out a complete smart metering solution, including a nice website to help understand and visualise energy usage. So, lets's get on with the specs! note, a non populated low pass filter will allow alternate analog inputs. On board regulator to take the Arduino supply voltage, in the range of 12-5V down to 3.3V capable of supporting the power requirements of a 900MHz Zigbe. 4 Pin interface for serial connection breakout to enable direct connection to an Asus Router, with pinout on the shield being, 5V – RX – TX – GND. note: to use this config for direct connection to an Asus Router, the Router will need to be wired up for 5V, not 3.3V and power from the router will power the Arduino. Other router models are supportable with a suitable adaptor cable connecting the relevant pins. This will enable downstream arduino's to send and receive on pins 2 and 3. Supports a watchdog circuit, to be implemented by the maker capable of resetting the Arduino. 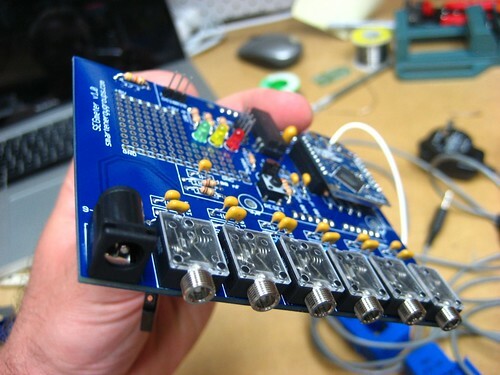 The form factor for the shield shall be the same footprint as that of an Arduino Duemilanove. 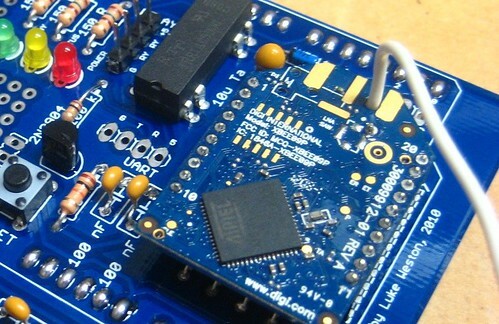 The Sparkfun Arduino-Pro 5/16Mhz is the preferred low cost Arduino platform. Because we are making open hardware, we've provided a small prototyping area for people to get imaginative and build some other magic into their SEGmeter. Examples could include a shift/latch to support an LCD display. 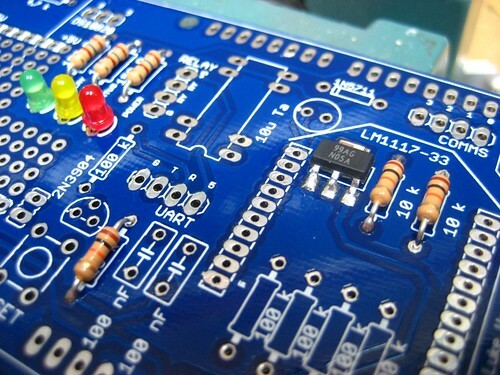 All electronic components, with exception of the 3.3v power regulator are through hole to allow for ease of assembly by people with moderate soldering skills. So that's it, SEGmeter in a wrap. Whilst it's not a revenue grade billing meter capable of all things, it is however a very hackable, easily buildable energy efficiency device that's internet connectable.